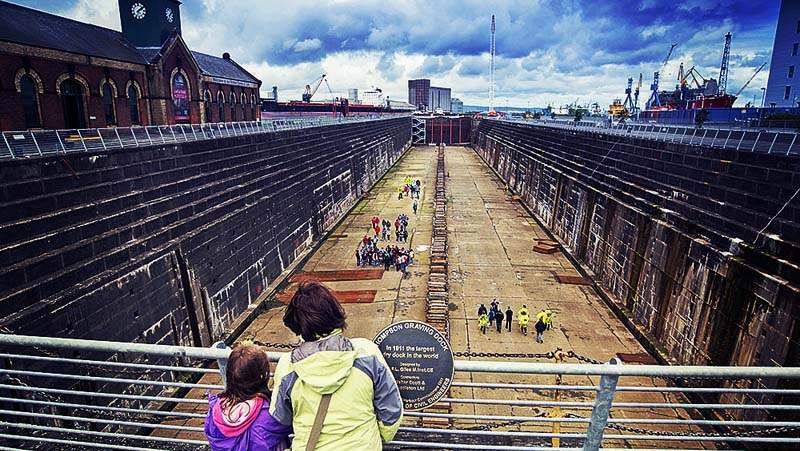 Step back in time and stand at the bottom of the enormous Thompson Dry Dock - a Scheduled Historic Monument and completely unchanged since 1911. Visit the original site where Titanic last sat on dry land. The adjoining pump-house is now converted to a Visitor Centre with modern interactive facilities. For more further information visit the Titanic's Dock and Pump House website.